If I were the PM or the minister of National Environment and if there is one department that Askmelah could shut it down to save the tax payers’ money, it has to be the NEA’s Meteorological Service dept. Honestly, how many times have they missed the flood warnings in Singapore? They only come up to reassure the public that the weather will continue to have heavy rain in ext 2 days and guess what? the next day it was all sunny. People working in this dept probably has the best job in Singapore, high pay, job security and no accountability. It is ok to put a cat to in charge of the Meteorological Service dept and nobody will miss the closure of such an ineffective agency. Most of us prefer to use our naked eyes to predict a storm is coming, or by feeling the extreme humidity to know that a thunder storm is coming after a long spell of drought. Compared to Askmelah’s living experience in USA and UK, those professionals really know their staff well and their weather forecasts were always sopt-on as far as I can remember. With this internet age, you can get Google Weather and Yahoo Weather very accurately, who still need these expensive and useless bureaucrats from NEA’s Meteorological Service ? Askmelah felt the temperature peaked in the two weeks prior to this annoucement. 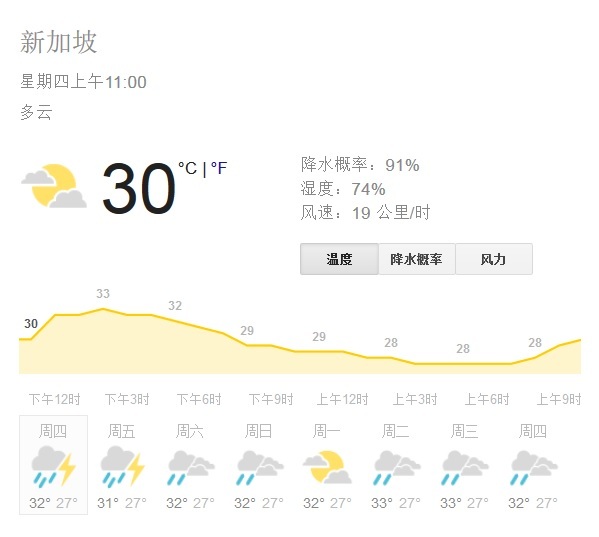 Here is the Google Weather forecast for the next one week predicting showering for the next one week and the temperature is pretty cool now as I wrote this update. Askmelah trusts Google more than our dumb NEA’s MET service. Period. Why no prior warning of haze? The haze suddenly hit us again yesterday morning, after months of clear skies. 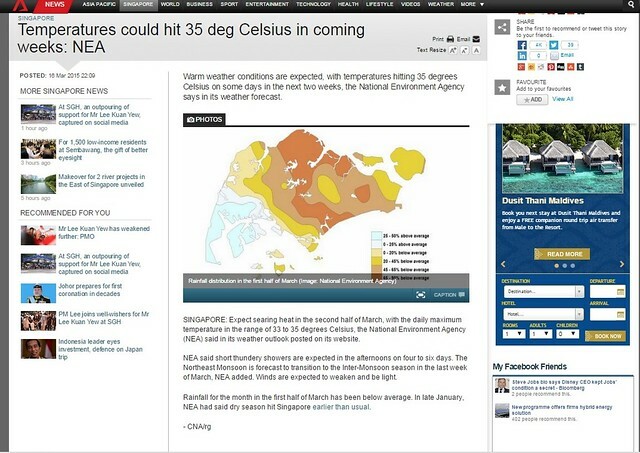 Why was the Meteorological Service Singapore unable to pick up signs of the impending haze and warn the public? It appears that forecasts on the haze are available only after the haze hits. Why is prior warning not available the way weather forecasts are?